When it comes to wildlife sanctuaries and national parks, Maharashtra has plenty of them. It is the royal abode of unique species of flora and fauna. These parks are specially taken care of by the government, in order to charm lots of tourists. Exciting jeep rides, adventurous night safaris, audio-visual facilities as well as convenient transport system attracts many foreigners too. Another plus point of these sanctuaries is that they are adorned with glittering lakes reflecting pure scenic beauty. Let us delve deeper into the beautiful biodiversity and appreciate some of the famous wildlife sanctuaries of Maharashtra such as the Sanjay Gandhi National Park, Karnala Bird Sanctuary, Bhimashankar Wildlife Sanctuary,Phansad Wildlife Sanctuary and more. Toy Train: We are sure that 'Van rani' will add the fun element of '15 minutes' to your trip while taking you across the foothills of the Mahatma Gandhi Memorial on Pavilion Hill. The happy ride shall make you cross over bridges, tunnels and of course the deer park. Lakes: When it comes to viewing artificial lakes inside the park, we have the Vihar Lake and the Tulsi Lake. The Western Ghat in the background also looks pretty amazing. Then comes the boating service near the beginning of the toy train. You can enjoy a serene evening probably alone or some quality time with your family on the quintessential lake. A bridge on the same lake aids in constricting the boats to one side. Lion Safari: Main attractions of the park are the Tiger and Lion Safari. You get to catch a glimpse of around 20 lions and 4 tigers via a fenced area of the forest which goes on for full twenty minutes. The safari charges around INR 25 for children and INR 64 for adults. Rented Cycles: Another initiative which shall be simply loved by you is the renting of bicycles to help the tourists take a tour inside of the park. It is mainly to bring about a reduction in air pollution. The cycle can be rented by submitting an identity proof at the entry gate office and a minimal fee of INR 10 is to be paid. But keep in mind, that the cycle route is restricted to the route of the tour and stops at the entrance of the Kanheri Caves. This sanctuary is located in the Panvel Taluka of Raigad District, near Matheran and Karjat. If you are an avid bird-watcher, you should know that Karnala has two seasons for enhancing your experience. At the onset of monsoons, you can catch a glimpse of the melodious white streamers, the shama or the magpie robin and the Malabar whistling thrush. But the pattern undergoes a change during the winters! In the cold weather, your eyes can soak in the views of the blackbird, the blue-headed rock-thrush, the bluethroat, the red-breasted flycatcher, the ashy minivet, the black-headed cuckoo-shrike and many more to irk your interest. When you shall enter the sanctuary, the number of plastic belongings you carry will be counted and noted down. If the number remains the same when you exit, the park authorities will reimburse certain deposit money which would have been taken from you in the beginning. Isn't it a nice initiative to enable people to treat the park as their own and keep it nice and clean? Do not miss visiting the Kamala 'Thumbs Up' point when in the sanctuary. Monsoons are too evident in this part so keep your travelling shoes away during June-August but make all plans from October to April. Jyotirlinga-Bhimashankar Temple: Deeply enclosed in the forest, a Shiva temple is present for all you religious souls. It is the sixth out of the twelve Jyotirlingas. The Indo-Aryan style is flaunted here and sprinkled with Gujarati and Rajasthani influences. Jungle Safari: If you do not have a knack for adventure, then do not worry much because you shall have the jungle safari to your rescue. Pay some amount of money and choose a vehicle you want to and travel along the path of the designated safari route. If you are lucky enough, you shall definitely catch sight of barking deer, leopards, wild boar, sambar deer, hyena and langur but keep these things in mind: rides are open from 6 am to 6 pm. Fireflies' Festival: Imagine a million fireflies lighting up the world by perching on trees, hovering in the air or even settling on the ground. Just before monsoon strikes, the Bhorgiri village breathes with the spirit of this amazing festival. Celebrated by the locals with a lot of enthusiasm as it takes place only once every year. Located in the Konkan region, you shall find this sanctuary in the Murud and Roha Talukas of Raigad district. Wouldn't you love it if you find some unique kind of species on visiting a sanctuary? Some spectacular varieties which enable you to compliment them a lot?! For eg: in the Phansad Wildlife Sanctuary, you can spot wild boars digging away into the roots while white-bellied sea eagles circulate high above in the sky. Have you heard about limbless amphibians called caecilians? You shall definitely find a couple of them here! An array of colourful insects also make way into this sanctuary while the bashful Giant Indian squirrel makes it difficult for tourists to spot it! Visit the sanctuary during the months of November to March to view some breath-taking varieties of birds such as the black-coloured eagle, the Asian Paradise Flycatcher, the yellow-footed green pigeon, the Pompadour Green Pigeon, the Forest Wagtail, the Shikra, the Brahmini Kite, the Spotted Owlet, the Golden Oriole, the Iora, the Plum-Headed Parakeet and lot more. Talk about colourful butterflies: 71 species can be found here. The government and forest development authorities also take care to protect the varieties of fauna such as King cobra, Indian python, bufo koyanansi as well as frogs. Keep adding to the list: Indian leopard, Indian bison, Bengal tigers, sloth bears, mouse deer, barking deer and smooth-coated otters. Let us get your interest aroused by the varieties of birds such as Rufous woodpecker, heart-spotted woodpecker, brown-capped pygmy woodpecker, long-tailed nightjar, crested goshawk and Asian fairy bluebird. You shall love visiting in the monsoon months of June and August which is ideal for tourists. Heavy showers can be predicted during this time; however, the observable density of the forest makes it bearable. October is a pleasant month for visiting and the timings are 7 am to 6 pm. Forest guest houses, as well as other resorts, can be availed at cheaper rates and with nice lake views. The sanctuary can be well-traversed by road and has the Kolhapur-Deogarh highway passing through it. The nearest railway station and airport is also located in Kolhapur. You can visit the sanctuary in the month of October as the climate is nice and pleasant unlike the months of April to September when the heat is too much to take. Avoiding November to March would be advisable as it a little too much crowded, given that the weather is pleasant for travel during this time. This park is located exactly at the point where the three districts of Khanapur, Walva and Palus; trifurcate. This fact shall interest you that it is actually an artificially cultivated forest made by man himself! The wildlife present in this park has also been introduced through artificial means. The park is clearly classified into two: southern thorn forests and southern dry mixed deciduous forests. You cannot miss out on the grassy hill slopes as their beauty shall not last long. Isn't it amazing that as the flora is guarded against forest fires and grazing activities, dry deciduous species of plants are reformed! August to February is when the most number of tourists frequent the park but any time of the year works just fine! The sanctuary is around 63 km away from the headquarters of Kolhapur and the preferable visiting hours are 10 am to 5 pm. Whenever Maharashtra wildlife tours strike our mind, Chandoli National Park tops the list. It extends over Satara, Kolhapur and Sangli district. Best known for its flora, the trees and flowers of Chandoli National Park look the most beautiful in the spring season and that is when you should visit this park. The diverse vegetation in the national park makes it a royal abode for mammals, reptiles and birds. Ample variety of different types of plants are also housed here. Visiting between the months of October to February should be on your bucket list. Chandoli National Park shall blow your mind with 20 species of amphibians, reptiles and around 23 species of mammals. The entry charges are INR 30 per person and for every vehicle which demands entry inside the park, it is INR 150. Another thing to keep in mind is that appointing a tourist guide inside the park is mandatory, who shall again, charge you around INR 300. You shall find the Great Indian Bustard Sanctuary in Solapur, Maharashtra. It comprises a sprawling area of 8469 sq. km and pulls in few more migratory birds with the Great Indian Bustard being the centre of attraction. The sanctuary also houses the blackbuck, wolf, Indian fox and jackals.You can also observe the wildlife from a watchtower near the gate. Planning on spending a few hours in the sanctuary?Make sure you have enough water and snacks to keep yourself from starving! Make sure to plan a visit between the months of September and February, and the best part is that you can visit it to your heart's content till the sun sets. You can catch a bus or even take a cab from Solapur. And Solapur is well connected to major cities by rail as well; which is a relief! Can you guess which forest was declared as the first wildlife sanctuary in Maharashtra? It was the Dajipur Wildlife Sanctuary of Kolhapur, in 1958. Another name given to the sanctuary is 'Bison Sanctuary'. You can readily find around 47 species of mammals, 264 species of birds, 66 species of butterflies and 59 species of reptiles in the sanctuary. You can enjoy the wilderness during the months of October to March which is ideally the best time to visit. Its scenic landscapes which attract people like a magnet can be enjoyed from 6 am to 6 pm. Unfurling over an area of 178 sq. m, a huge range of flora and fauna is flaunted by the Yawal Wildlife Sanctuary in the Yawal Tehsil of Jalgaon district, Maharashtra. You can catch a glimpse of Salai, Anjan and Teak trees. It is the royal home to a variety of mammals such as leopards, tigers, flying squirrels, sloth bear, deer, sambars, wolves, blue bull, chinkara and wild dogs. The sight of the flying squirrel drifting across the forest canopy is quite stunning. You will not like visiting the sanctuary in the heavy monsoons, so mark your calendars anytime between January and May. Winters and summers are pleasant for visiting via Jalgaon or Aurangabad which are the nearest airports and Raver, which is the nearest railway station. The sanctuary has itsown rest houses and bungalows in Yawal forest and thus provide a decent accommodation facility to the tourists. 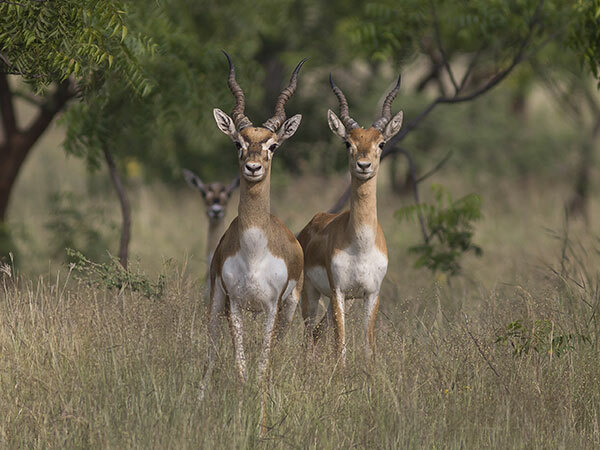 The Gugamal National Park is located in the Amravati district of Maharashtra. This park shall give you an opportunity to look at the enchanting species of monkeys, squirrels, bears, deer, antelopes, fishes, butterflies, crocodiles, cat family, variant plants, trees and shrubs. Gugamal National Park will also offer you with medicinal plants. If we give you a proper count, then there are 90 tree species, 66 shrub species, 316 herb species, 56 climbers, 23 hedge species and 99 grass species. It shall be a good thing if you visit the park between the months of October and June. Charges are as minimal as INR 30 for adults and INR 15 for children but in case of foreigners, it is INR 60 for adults and INR 30 for children. There is a separate charge sheet for vehicles. Heavy vehicles pay INR 150 and light vehicles pay INR 100 whereas two wheelers are charged INR 25 per day. If you prefer to travel by air, the nearest airport is at Nagpur, whereas the closest railhead will be at Amravati. Located in Chandrapur district of Maharashtra, Tadoba Andhari is Maharashtra's oldest and largest national parks. The dense bamboo forests are dotted with the brilliantly colored Palas trees popularly called the flame of the forest. Primarily home to the royal Bengal tigers, Tadoba also houses numerous other species including leopards, sambars, sloth bears, barking deer, striped hyena and several species of reptiles, birds and butterflies. Now that all of this is sorted, get going as soon as you can!